Eyal S. Eisig has fifteen years of litigation experience, focusing his practice in the areas of construction, commercial litigation and insurance. He represents clients in matters involving construction defect claims, construction lien disputes, breach of contract disputes and first-party property insurance claims. Mr. Eisig represents Fortune 500 companies, small businesses, engineers, architects, contractors and design professionals in all facets of a construction project. He also has extensive experience in handling business disputes, representing clients on both a local and national level in matters involving commercial real estate, trade secrets, confidentiality agreements, non-compete agreements and business contracts. Prior to joining the firm, Mr. Eisig was partner at a local law firm where he handled the litigation and transactional needs of clients in areas such as breach of contract disputes, foreclosure of real and personal property, shareholder derivative actions and wage and hours claims. 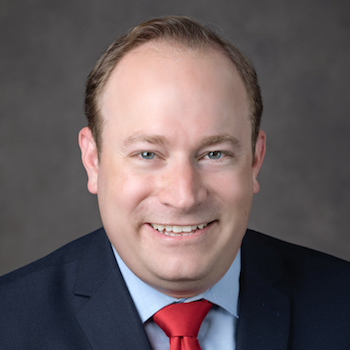 During law school, Mr. Eisig was active in the Moot Court Honor Society, competing as a quarter-finalist in the Ruby R. Vale Corporate Moot Court Completion in 2003 and as a semi-finalist in the Monrad G. Paulsen Moot Court Competition in 2002. He also participated in the Trial Advocacy Program and was selected to work in the New York City Corporation Counsel’s Appeals Division where he researched and drafted appellate briefs in areas including civil and criminal matters. Successfully defended a Miami Beach restaurant against a high six-figure claim of overdue rent, obtaining a Judgment on a Counterclaim for overpayment of rent. Obtained a favorable verdict at trial on behalf of an Association against a former and contentious board member. Successfully briefed, argued and obtained dismissal of 11 causes of action arising from an alleged wrongful death before the U.S. District Court for the Southern District of NY. Co-authored, “Right of Sepulcher: Reconciling Changing Views and Standards,” New York Law Journal, April 2, 2015.